Christian Gaming Company Goes "Deep and Wide"
Left Behind Games reported that it has received more orders than expected for its Christian themed PC game titles. In a surprisingly worded press release, Left Behind Games proclaimed that it "Goes Deep and Wide into Christian Retailers." The company produces a library of family-friendly and religious-themed games such as Charlie Church Mouse and Praise Champion. The total orders for its games just received an additional 37,174 from 503 locations. The biggest seller is the Left Behind series of games which is based on the novels and movies of the same name. 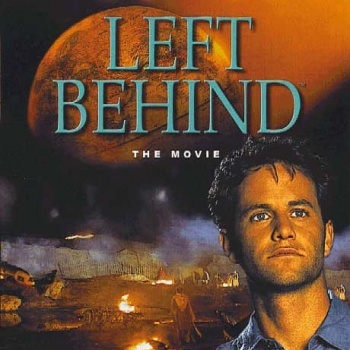 The Left Behind movies star Growing Pain Kirk Cameron and Louis Gossett Jr. The third game in the series, Left Behind 3: Rise of the Antichrist, retails for $29.95 and received 24.8 average orders from Christian retail stores. These orders raise Left Behind Games' fiscal predictions for this tax year by a substantial amount. "The depth of these new orders increases our projected fiscal year revenue by $401,095," said CEO, Troy Lyndon. With the tagline, "Do you want Good, Clean, Fun in your house?" Left Behind Games aims to entertain kids and adults without betraying their Christian values. The company is a self-described "leading pioneer in the new genre of Christian video games." After a test program selling a few of the titles in select Wal-Mart stores in Texas, Left Behind Games will see its games distributed throughout the U.S. "We are delighted to offer healthy alternatives into the PC game marketplace and pleased to see these games get the exposure they deserve by becoming available in Walmart nationally," Lyndon said. The company is also looking to distribute its games internationally in countries like Australia, South Africa, Brazil, and the United Kingdom.